Windows 10: All You Wanted To Know…Free Upgrades, Availability, Price & More. Windows 10 is the most anticipated Windows OS after the infamous Windows 8. We all have been waiting for it for quite a few months and many of us have even tried its official Insider Preview. I must say that the Windows 10 looks very promising indeed and the fact that all computers running Windows 7 SP1 and above will get a free upgrade to Windows 10 is the icing on the cake. Microsoft also announced that Windows Phone 8.1 running devices will also get free upgrade to Windows 10, but the computers running on Windows 7/8/8.1 Enterprise, and Windows RT/RT8.1 running devices will get no free upgrade. 1 What Exactly Is Microsoft Offering? 2 How To Claim Your Free Windows 10 Upgrade? 3 Is It Only An Upgrade Or A Full Windows 10 OS? 4 Which Windows Version Will Get What Upgrade? What Exactly Is Microsoft Offering? Do you really think that Microsoft will give you all features of Windows 10 for free? While Microsoft will let you upgrade to Windows 10 for free, you won’t get the most advanced version as you will be upgraded to Windows 10 Home. This version of Windows 10 is stripped of many features that you are used to on Windows 7 and Windows 8. And if you are excited about Cortana, then know that it will be available only in U.S., Canada, China, France, U.K., Italy, Germany, and Spain during its initial launch. People living in other regions will get Cortana at some point later on. One more issue that users on limited data plans will face once they upgrade to Windows 10 Home is automatic Windows Update. Windows will install new updates whenever they are available without any user permission and intervention. While this might be good news for many, it certainly is not a good news for those like me who like to stay in control of their computer. Windows 10 Home also doesn’t support Windows Media Center, Hearts (card game), Desktop gadgets (in Windows 7), Floppy disks (who uses it, anyway), and native DVD playback functionality. The lack of support for native DVD playback is not an issue as most of us already use some 3rd party video playback software and never play DVDs using the stock media player. So, if you want control over Windows Update and want more features, then pay a few bucks and upgrade to either Windows 10 Pro or Enterprise. How To Claim Your Free Windows 10 Upgrade? Microsoft will allow all qualified devices to get free Windows 10 upgrade till one year from its official launch. The upgrade will be delivered to the devices via the Windows Update, but if you’re like me and don’t download every update for your devices then you should look for KB3035583 update and install it. This update will let you reserve your free Windows 10 upgrade in a few simple steps. This update will download the required files for the Windows 10 upgrade a few days ahead of its public launch so that you can experience your new version of Windows without any hassle. Note: The whole upgrade will be download over the internet, so make sure that you’re on an unlimited internet plan. Is It Only An Upgrade Or A Full Windows 10 OS? If you are wondering whether you would be able to do a fresh install of Windows 10 at some point of time in near future, then you would be delighted to know that Microsoft will let you download an ISO of the full Windows 10 OS. You can burn that ISO file to a DVD or make a bootable flash drive for installing Windows quickly. You can use the ISO file to either upgrade your existing Windows OS or do a clean reinstall on the computer in future. Which Windows Version Will Get What Upgrade? Here is what various versions of Windows will get as an upgrade. For Windows 7 and 8 Professional and Ultimate versions will get Windows 10 Pro, while the home, basic and starter editions will get Windows 10 Home!. Check the chart below! Windows 10 will be officially launched on July 29 2015. While the Home Users of Windows 7/8.1 will get a free upgrade to Windows 10 Home, Windows 7/8.1 Pro users will be able to upgrade to Windows 10 Pro for free as long as they claim their free upgrade within a year of the launch of Windows 10. 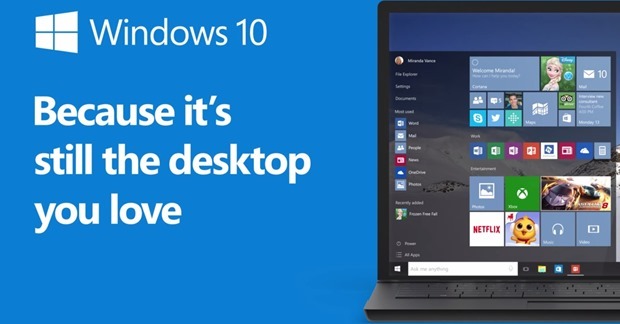 However, if you want to upgrade from ‘Home’ version of Windows 10 to ‘Pro’, then you can do so by paying $99. According to Neowin, if want to upgrade your Windows OS post the free 1-year upgrade window, then you will be charged $119 for Windows 10 Home and $199 for Windows 10 Pro. Windows 10 free upgrade is one of the biggest tech bargain that we have ever seen. We are expecting millions of people to upgrade to Windows 10 Home right after its launch. This is in line with Microsoft’s goal to achieve 1 billion Windows 10 devices in the next few years. If this happens, then it would break the records of fastest OS adoption rate. We’ll see how this free OS upgrade scheme turns out for Microsoft in near future. The article doesn’t cover what will be NEW in 10, except a very little bit. Didn`t find windows 8 in the list . that surprise me . any idea?? Their is nothing called ultimate in Windows 10. I am not sure, but if you should still get Windows 10 home edition. Arun you know better, Windows 7 Ultimate was upgrade able to Windows 8 Pro and will be upgrade able to Windows 10 Pro. Also, your wrong about Windows 8 Pro upgrade it will be upgraded to Windows 10 Pro. What ever version of Windows 8 you have now will be upgraded to the same version of Windows 10. Windows 8 Home will upgrade to Windows 10 Home and Windows 8 Pro will upgrade to Windows 10 Pro. @Raja, we have updated the post. About your question, it is confirmed that Windows 7 ultimate will get Windows 10 Pro :). Please ignore my previous comment. Check out the chart in the post..